The eyes are one of the most vital organs in the human body so ongoing care is paramount to ensuring not that eyes are in proper health. Your friends at Dr. Goosey understand that good eye health is indicative of good overall health but we also realize that even the individuals that exhibit the best practices for maintaining healthy eyes can still be afflicted by various conditions. Fortunately, we are here to help, but understanding and awareness are the first steps to treating any eye condition to completion. Hyperopia is also known as farsightedness and it is a condition that makes the images of far-away objects become focused behind the retina. This makes nearby objects seem out of focus. Myopia is essentially the opposite of hyperopia. With this condition, an image of a far-away object becomes focused in the front of the retina. This makes far-away objects seem out of focus. Astigmatism is an eye condition which results in an abnormal curvature of the cornea. This can result in two focal points falling in two different locations. This makes both nearby and far-away objects seem blurry. Appropriately prescribed eyeglasses or lenses can be used to correct just about every degree of “normal” astigmatism. For an individual who has just a slight degree of astigmatism, there may not be a need for him or her to wear corrective lenses at all. However, this is all contingent on other conditions like farsightedness or nearsightedness not being present. If the level of astigmatism is high or moderate, contact lenses or glasses will probably be needed. Far less common is irregular astigmatism and it is linked to keratoconus and other abnormal conditions that affect the cornea. It is treated more effectively with corneal procedures or special contact lenses. Should a serious condition such as keratoconus develop, an eye surgeon would need to take the necessary corrective action. Hyperopia happens when the eyes are shorter than normal or when the cornea, which is the transparent front window in the eye, is too flat. As such, a light ray will focus beyond the retina rather than on it. When hyperopia is being treated by the eye surgeon, the goal is to enable the eyes to focus on nearby objects. The most common method of achieving this is by way of contact lenses and corrective glasses. 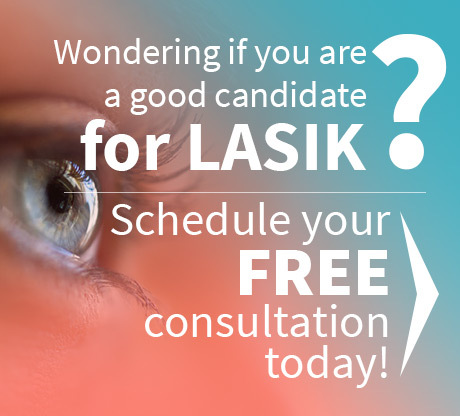 LASIK and other eye surgeries are available for adults and individuals who have high or moderate levels farsightedness. An eye surgeon may treat hyperopia in adults with developed cataracts with an IOL or intraocular lens. During cataract surgery, this is use to replace the human lens. The lifestyle and the eye condition of a particular patient will determine the most appropriate treatment. A number of different types of contact lenses and eyeglasses can be used to correct hyperopia. However, these corrective measures cannot prevent the eyes from being shorter or restore the health of the irregular curve in the cornea that results in blurry vision. Glasses, refractive surgery or contact lenses can be used by an eye surgeon to correct myopia. Depending on the extent of the myopia, an individual may need to constantly wear contact lens or glasses. Other cases will only require lenses or glasses when driving, watching a movie, looking at a chalkboard or other instances of clear distance vision is needed. Refractive surgery could reduce or even remove the need for contact lenses or glasses. An excimer laser is most commonly used to perform these procedures. Even the individuals who exhibit the greatest level of care for ongoing eye health can still be prone to serious eye conditions throughout their lives. 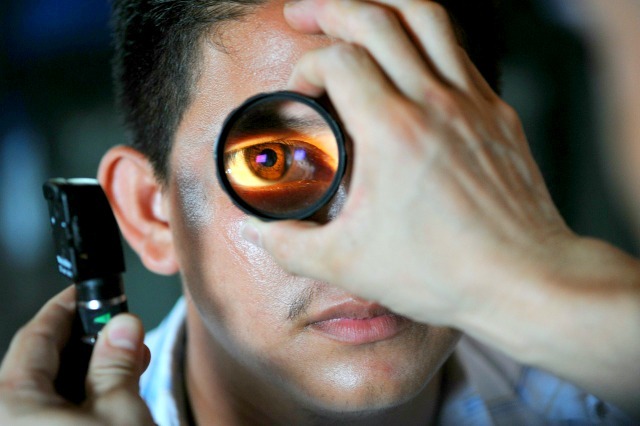 While some are treatable without needing surgery, some can only be corrected in the hands of a licensed, professional and trusted eye surgeon. This is where we come. 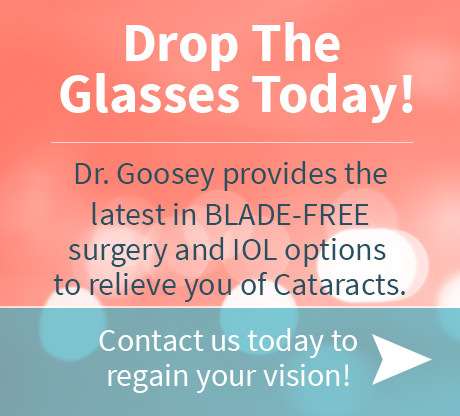 While maintaining quality eye care practices should be an ongoing process throughout everyone’s lives, should a serious issue happen to you, please contact Dr. John Goosey to receive the highest care from a proven and trusted ophthalmologists.